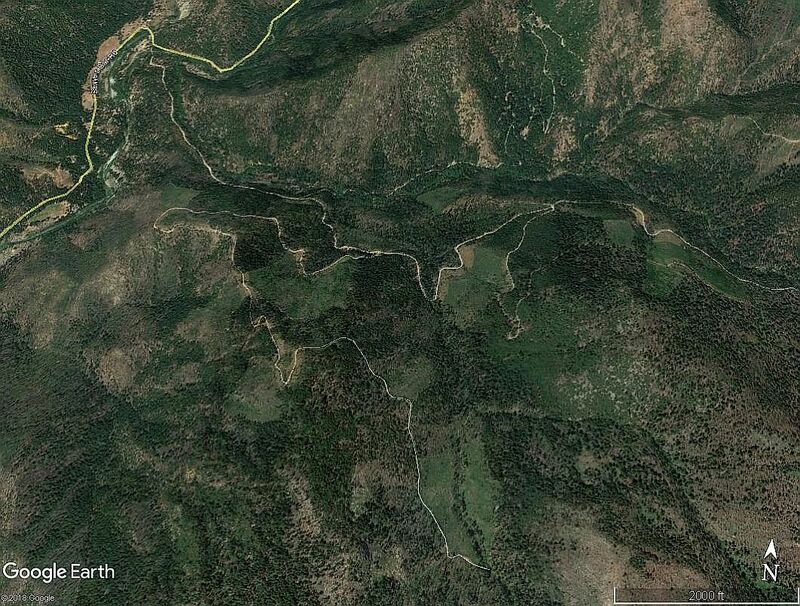 Follow dirt road 40N54 from Idlewild CG to a spur that leads south to the Big Cliff Gold Mines. Ride down from the mines! What this trail looks like.